Geranium House is a short country drive from Canberra CBD. The Day Spa is set amidst established gardens and offers views from every treatment room. Its the perfect place to unwind. 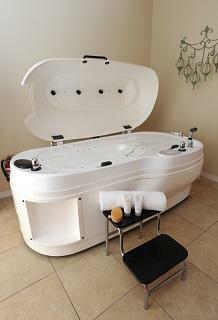 State of the art hydrotherapy treatment capsule. Relax in a hydrotherapy spa, or enjoy a detox body wrap with exfoliation, thalassotherapy, sauna and vichy shower. Enjoy the luxury of preheated beds, underfloor heating and sumptuous robes. 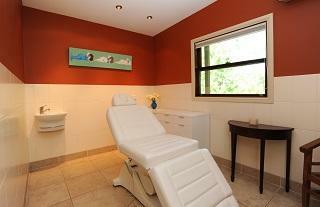 Spacious treatment rooms for massage, facials and pedicures. Relax in the lounge with a garden view or meander down the path and take a seat in our outdoor lounge area. 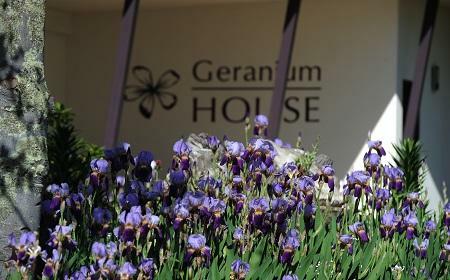 Located on 135 acres of Australian bush, Geranium House is only a 25-30min drive from Canberra CBD. Turn off the Barton Highway and onto Spring Range Rd, a fully sealed road. Follow for approx 6km's before turning left onto Fairview Rd (also sealed), and simply follow to the top of the hill. Once through the entry you will find parking on the right hand side of the drive. We look forward to seeing you soon. You can use our email contact form to send us a quick message. 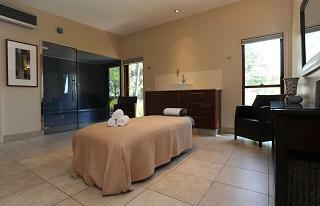 Geranium House would like to ensure that your spa time is relaxing and effective as possible. To assist you with your spa journey we have provided answers to some of our most frequenty asked questions. Should you have any other queries, please feel free to email prior to your visit. Treatments must be booked in advanced are are subject to availability. As varying preparation is required for treatments we recommend booking your spa time at least a week in advance to avoid disappointment. A credit card or a Gift Voucher number is required to secure a booking. To allow transition time into your relaxing journey please arrive 5 - 10 minutes prior to your treatment time to allow time to relax and discuss any specific requirements with your therapist prior to your treatment time. Late arrival will shorten the duration of your treatment time and may affect the effectiveness of your treatment. We must ensure that no delay is attributed to the following clients preparation or booking time and all treatments will conclude at their scheduled time. Please also ensure that your mobile phone is switched to silent before you enter the spa to respect other guests' relaxation time. We understand that circumstances may change and you may need to reschedule an appointment. However, please note that we require 24 hours cancellation notice for all bookings or a 100% cancellation fee will be charged. As a therapist and both room and product preparation time is allocated to your booking we are unable to change this at short notice. By making a booking or purchasing a Gift Voucher you accept these terms and conditions. It is best to arrive in comfortable clothing. Your modesty during hydrotherapy and massage treatments is taken into consideration at all times. Please also remember to bring the appropriate footwear if you are having a spa pedicure as part of your spa package. Please advise at the time of booking if you have any specific health conditions or disabilities so we may best accommodate your needs. 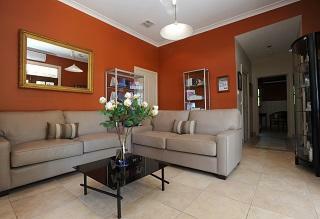 We continually strive to make every visit to Geranium House a relaxing and enjoyable experience. We will be happy to offer any assistance that we can should you have mobility difficulties or other special needs. Please ensure your mobile phone is turned off or switched to silent before you enter the spa. It is important that we respect other guest's relaxation time.